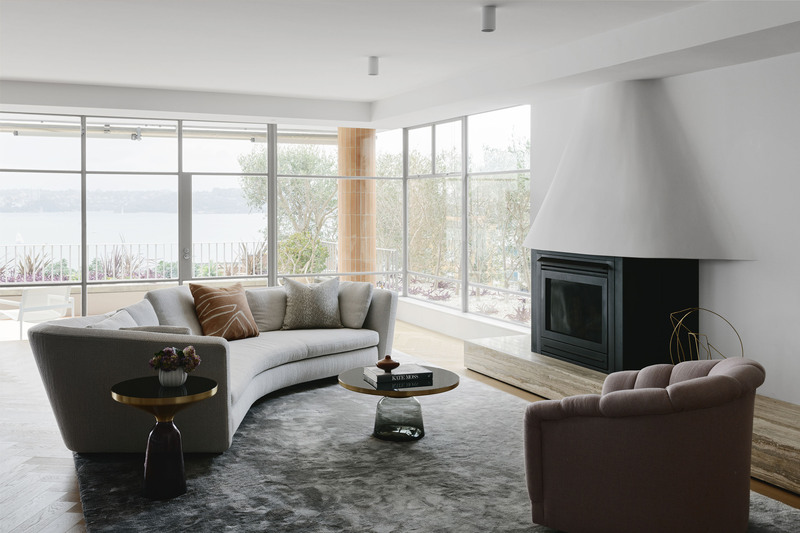 The existing volumes of this beautiful Sydney harbourside residence were stripped bare by Arent&Pyke, allowing a complete reinvention of the spaces. 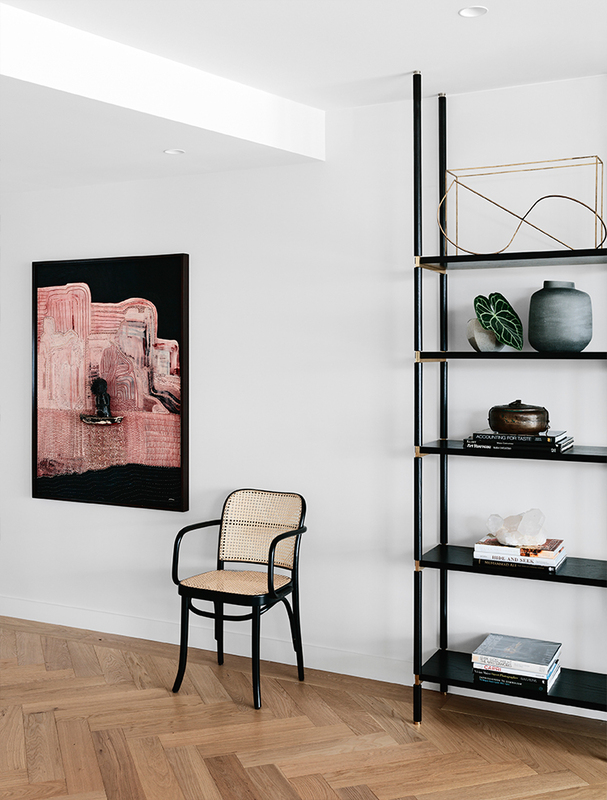 Iconic, timeless and beautifully appointed, the soft grey and natural timber base accept accents of terracotta and emerald, while brass details and navy linen add textural luxury. 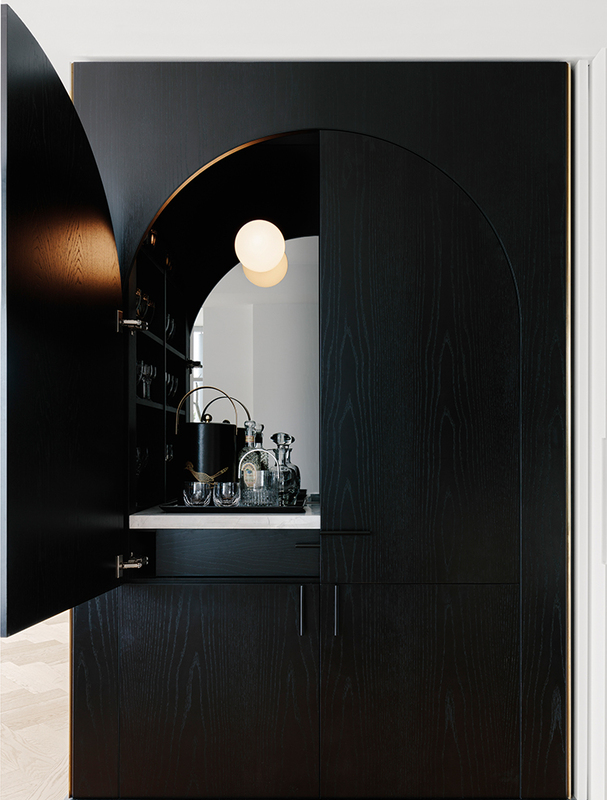 The sculptural shapes of the built elements such as the curve of the fireplace or arch of the bar unit are complemented by the soft curves of the furnishings. 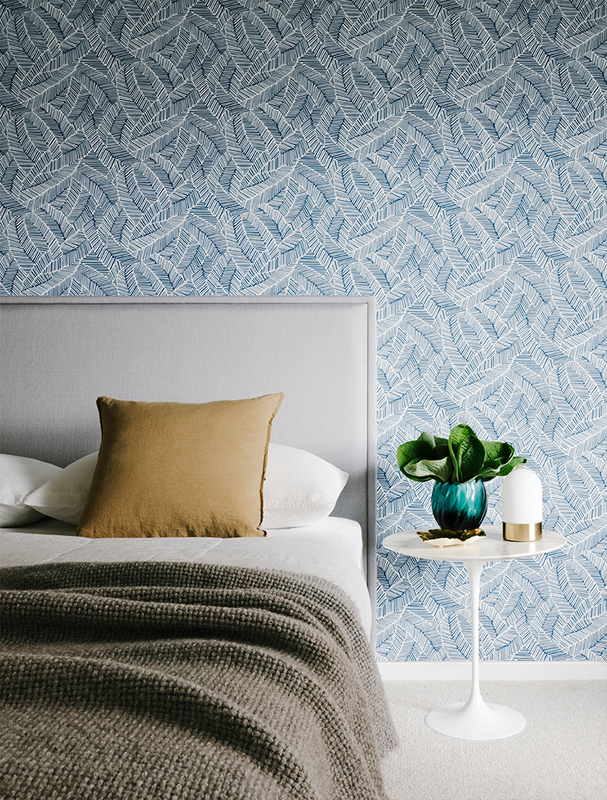 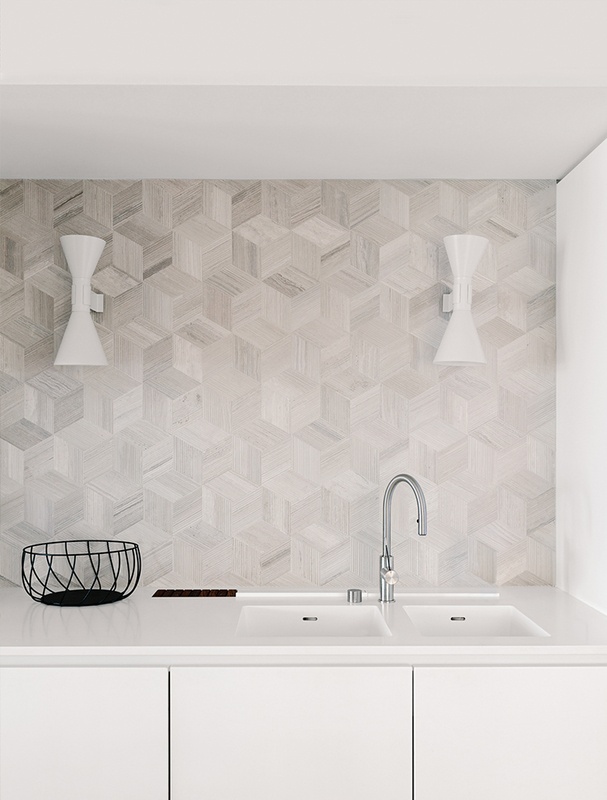 Rather than allow these curves to dominate, however, we chose decorative elements that would explore the beauty of surface and texture. 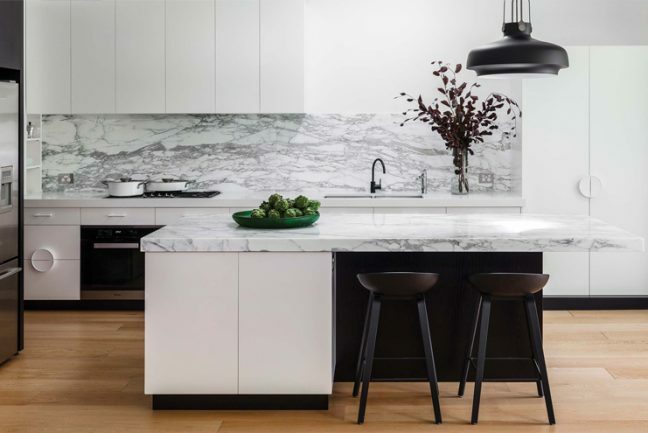 The textural variations in the kitchen splash-back, the travertine plinth, and the timber flooring, each deliver a subtle richness to the whole, as does the Minotti rug. 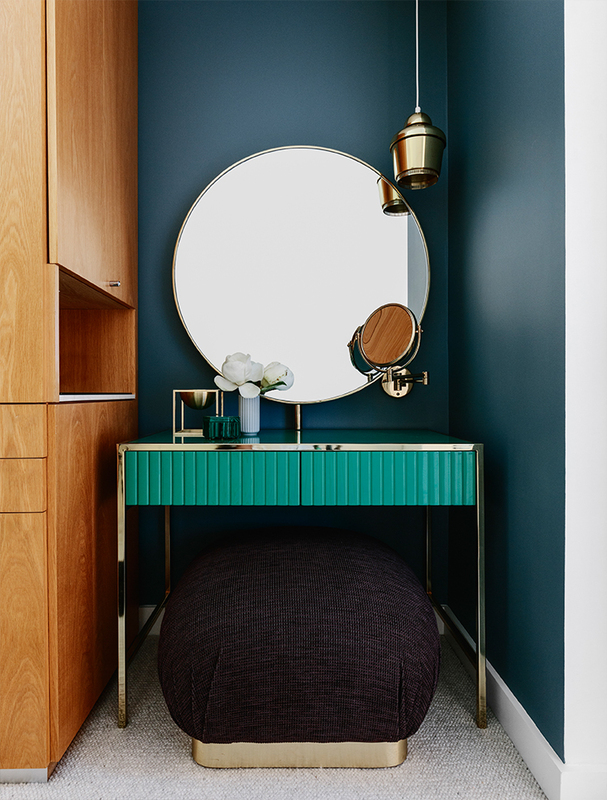 The kitchen nook continues this direction with a green marble Saarinen table, paired with a curved custom bench seat in navy linen and the angular lines of custom shelving. 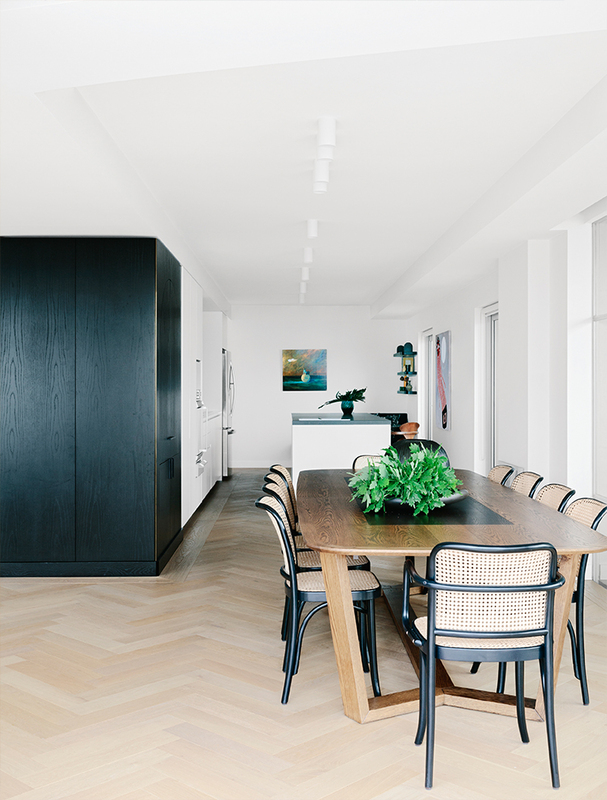 The dining setting is similarly a play on curves with Hoffman chairs paired with the angular Atticus table. 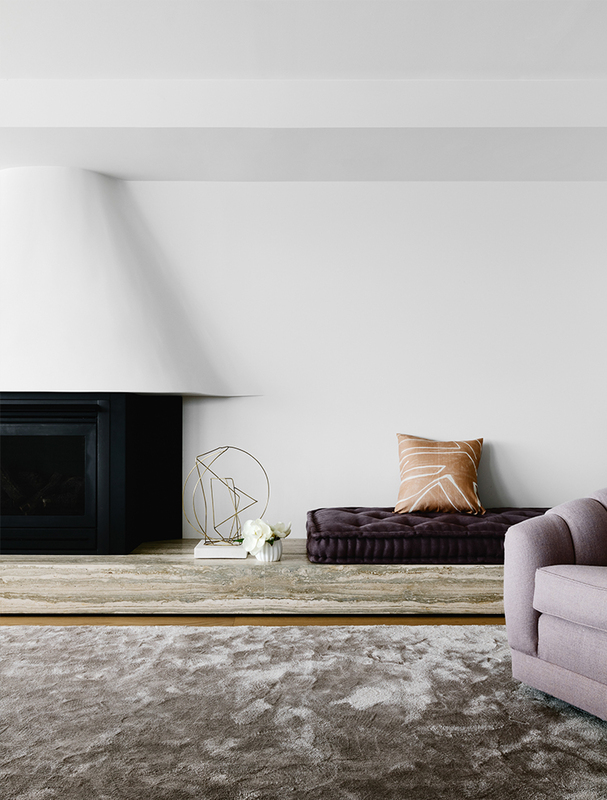 Effectively a meditation on curve, tone and texture, the soft sculptural shapes of the built elements, such as the curve of the fireplace, play on the spatial illusion of a curved single colour. 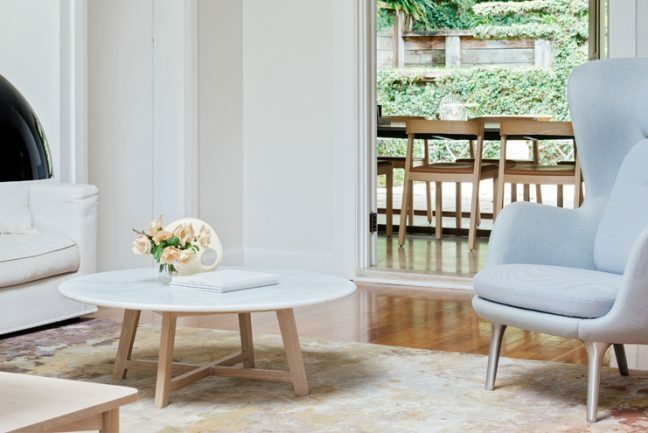 This, in turn, is complemented by the soft curves of the sofa, side chairs and tables, which introduce textural fabric, glass, brass and colour. 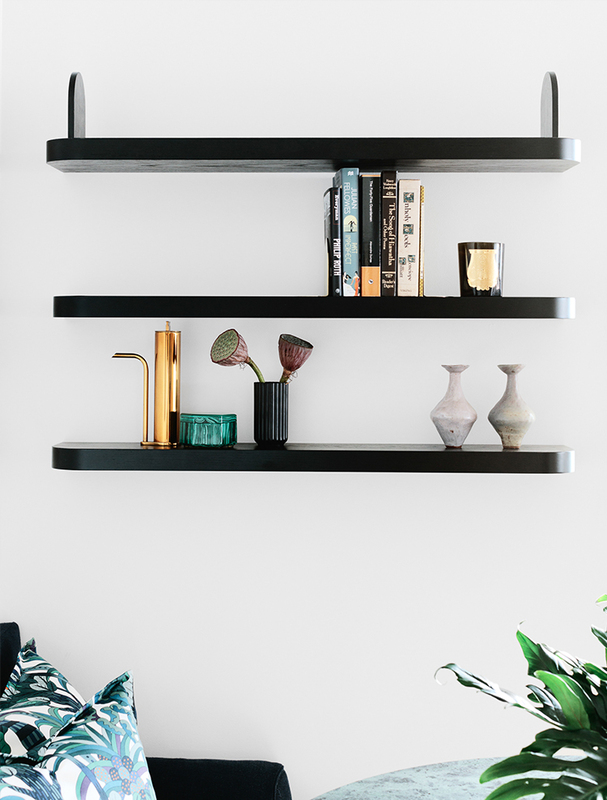 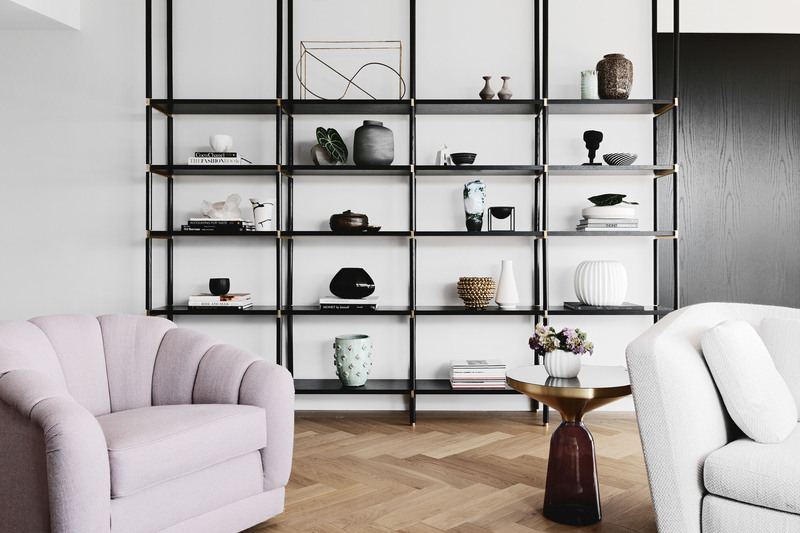 The complexity of nuance creates a foil to the boldness of the bespoke black/brass shelving, which seemingly floats across the parquetry. 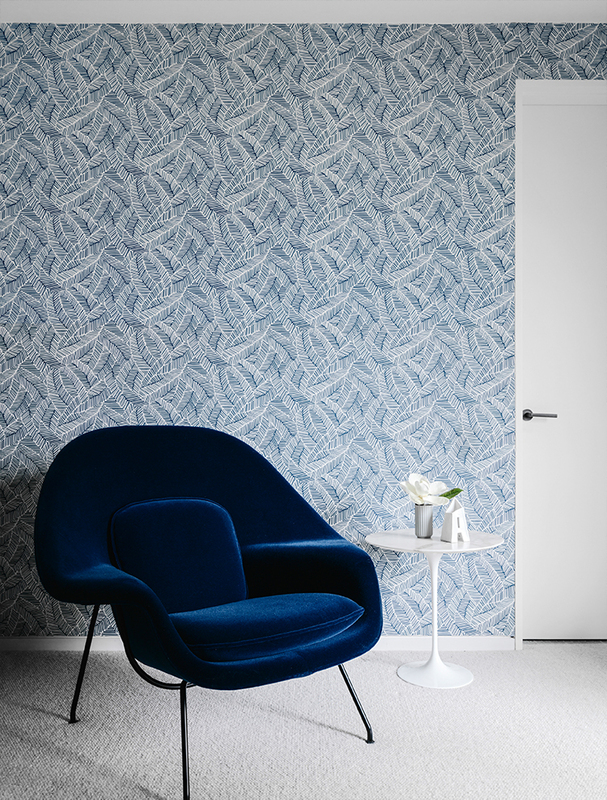 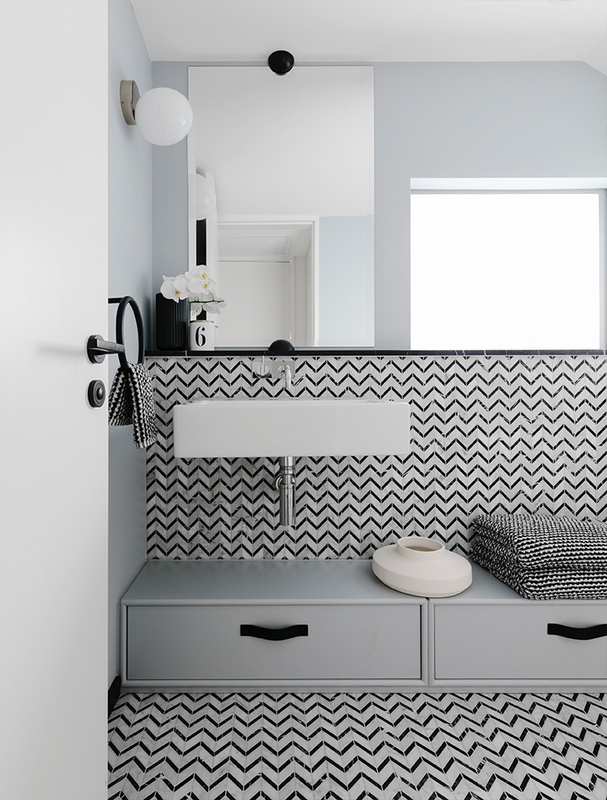 Texture and pattern have also allowed a sense of play with the success of the powder room lying in the repetition of the chevron floor motif, in striking black and white marble. 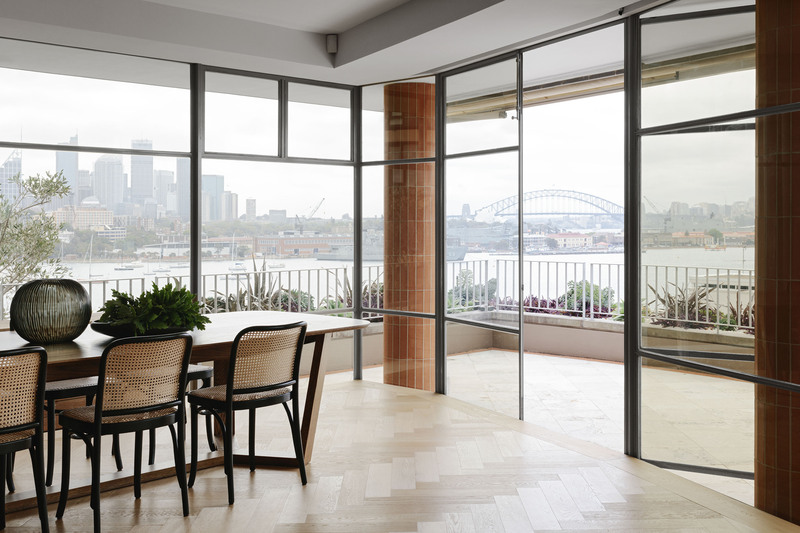 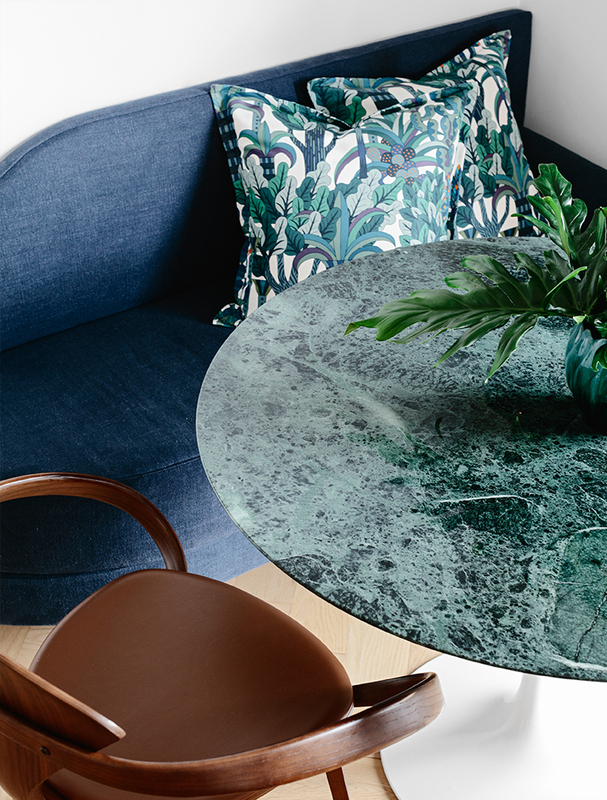 See more of the Darling Point Penthouse and our other projects at the Arent&Pyke studio site.